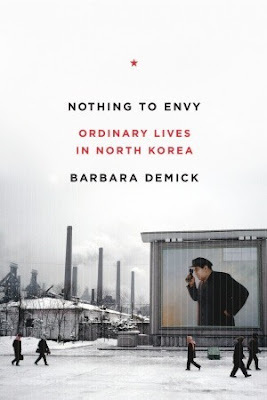 I've had Nothing to Envy on my TBR forever...part of my random fascination with what goes on in the black box that is North Korea. 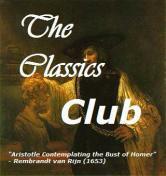 Sarah - I'm glad to finally read it and am learning quite a bit, too. I have Nothing to Envy on my Kindle, and I've been meaning to read it ever since I finished The Orphan Master's Son last year. Probably should get to it soon. Good idea mixing it with something a bit lighter! Priscilla - And I've had The Orphan Master's Son on my list for some time. Maybe Nothing to Envy will inspire me to finally read it! Nothing to Envy is fantastic. I learned so much from it. I'm reading a bio of Margaret Wise Brown, the author of Goodnight Moon, which is interesting, but the writing is weird. Ah well. Amy - I'm learning quite bit from Nothing to Envy... fascinating and timely! Nothing to Envy sounds fascinating. Kathy - Life is pretty bleak in North Korea. Nothing to Envy is a very interesting book! On Turpentine Lane sounds good (love that quirky cover) and Nothing To Envy does seem rather timely! It's sad how those people have to live in such a repressive country. Greg - I think I would have picked up On Turpentine Lane based of the cover alone! It's just what I need to red alongside Nothing to Envy. That's a fascinating combination. On Turpentine Lane is a treat, isn't it! 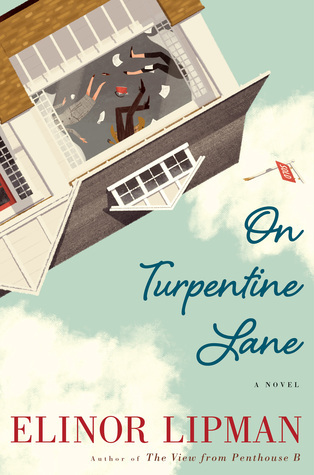 I have On Turpentine Lane, and hope to read it soon. I have enjoyed almost every book I've read from this author...she writes quirky characters, which I do enjoy. Laurel-Rain Snow - Her characters are the best! I've read several of Lipman's books, but not The Inn at Lake Devine yet. Everyone seems to love that one. Both books look great but On Turpentine Lane caught my eye. 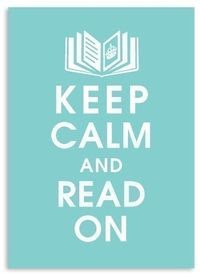 I need a happy book. Beth F - Lipman can always make me smile. Both books are on my TBR so I'm glad to hear you're enjoying them. I'm especially intrigued by the book on North Korea. I've seen a few documentaries lately that were completely fascinating and I really want to learn more. On Turpentine Lane sounds fun and I wonder just what else is going on to make the house such a headache! Katherine - I don't know nearly enough about North Korea, but this book is helping to remedy that situation. Loved the Lipman book - such a good author. Diane - I'm loving it, too! On Turpentine Lane looks really good. I brought Turpentine Lane home from the library too. Hope to get to it soon. Glad it is a great read so far for you. Nise' - I think you'll like it, too. Oh JoAnn, On Turpentine Road sounds like a lot of fun. You always find the best books. Thanks for doing that. Thanks, Margot. On Turpentine Lane is such a fun read, but I'm especially appreciating the contrast with Nothing to Envy. North Korea is such an enigmatic and terrifying place. There are a few book out there written by people who have escaped it. I want to read one of them soon. I can see how such a book would hold your interest. Brian Joseph - I may look for those later, too. This book is written by journalist, but I would be interested in individual first-person accounts. Both books sound engaging...in totally different ways! Patty - They are... and together make for some great reading! Nothing to Envy seems quite interesting. I don't think I've ever read anything in that format! 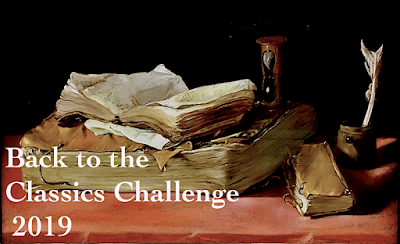 Poem fanatic - It's really fascinating... at the halfway point now. Can't wait to read your thoughts on Nothing to Envy! Lisa - I'm still listening (over 50% now) and learning a lot! Both of these sound like such great reads. I've read Elinor Lipman before and you are right, quirky characters are exactly what I expect. Definitely will add these to my lists! Iliana - Elinor Lipman's book was exactly what I needed last week. So much fun!